MASCOT will have 16 hours after landing to take all the measurements it can from Ryugu’s surface. After having sent two small landers onto its target asteroid’s surface, Japanese spacecraft Hayabusa2 will now send in the big guns. The craft will releases its asteroid lander — MASCOT — onto the surface of Ryugu, the mysterious asteroid that is was sent to study. What the asteroid is made of continues to be a mystery to scientists, even after months of Hayabusa arriving at the asteroid, according to Space.com. The lander MASCOT (Mobile Asteroid Surface Scout) is expected to touch down at 7:30 AM IST on 3rd October, 2018, the German Aerospace Center (DLR) said in a press release. The MINERVA-II1 ((Micro/Nano Experimental Robot Vehicle for Asteroid-II1) landers that were deployed by Hayabusa-2 in mid-September survived a similarly shaky landing. MASCOT will drop “autonomously” onto the asteroid from the spacecraft — "free-fall", the agency said. "A smooth descent is crucial; otherwise, MASCOT will bounce back up from the asteroid like a rubber ball due to the low gravitational pull and be lost in space," Tra-Mi Ho, Project Manager of MASCOT, said in a press statement. 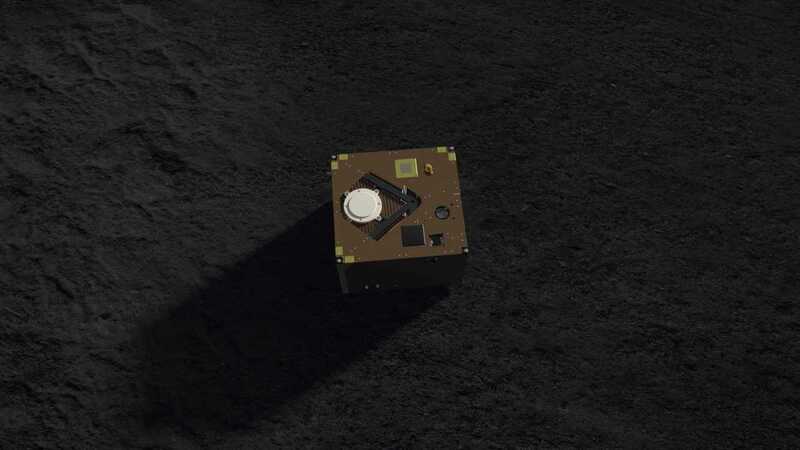 After it lands, MASCOT has roughly 16 hours on its clock before it runs out of battery power to take an array of measurements from the asteroid’s surface. During this time, the 10-kilogram lander will 'hop' around the asteroid to collect measurements from four of its instruments designed to look into the asteroid’s mineralogy, surface temperature and magnetic field. While the lander is equipped to communicate the data back to Earth, it will only relay a limited amount of findings (in data and images) back to Earth becuase communication windows are limited, and critical period around landing needs large volumes of data of its operations. "In the hours leading to the separation, the Japanese Hayabusa2 space probe will be operating at a relative height of only 60 metres above the asteroid’s surface," said Tra-Mi Ho, Project Manager of MASCOT, was quoted to have said in the press release. Hayabusa-2 also landed two smaller landers, MINERVA-II1 landers, onto Ryugu successfully last month.